Consider this situation; I wait at the airport lounge for my flight and the person sitting beside me opens up a Mac with Apple Mac OS X with while I binge upon my Acer 5742Z with Windows 7. What would go in my mind at that point of time? The next time this happens, I may let out a small in-audible evil laugh, because my Windows 7 is more secure than the Mac OS X; perceptions notwithstanding. Yes, you heard it right! More safe and secure, less vulnerable – that is Windows 7, at least according to security researchers at Black Hat. 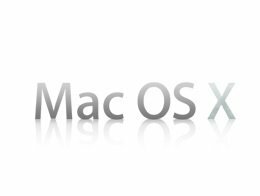 OS X has a greater number of vulnerabilities compared to Windows 7 and when it is about network security, OS X networks are significantly more vulnerable to network privilege escalation and almost every OS X server service offers weak or broken authentication mechanisms! You must also be aware of the malware issue in Apple Mac OS raised recently. Do also read this post on Windows vs Mac Security. A lot of users get carried away by lose talk that Mac OS X is more secure and that it doesn’t attract attention from hackers. Well it is not exactly true! More than 1,151 major vulnerabilities have affected Apple products over the past three years. (Mac OS X users, this number might give you second thoughts). However, things might change for Mac OS X with 10.7 Lion featuring the application sandboxing technique which helps contain malware. But according to Gartner, 42 percent of PCs will be running Windows 7 by year-end. This shows the tremendous popularity of Windows 7 after Windows XP which was embraced by home-users, businesses and professionals with open arms. Wait for BUILD to happen, after which we may be able to divulge details about Microsoft’s upcoming OS after Windows 7, for PCs and slates, Windows 8. 7 may be heaven but 8 will be great!